An unidentified woman who was "vacationing" in the United States gave birth to a child affected by the Zika virus. This marks the first time that Zika has been detected in New Jersey. However, all Zika cases in the United States so far have been entirely travel related. Fox News reports that there have been a total of 591 cases in the United States, all involving patients who had traveled between North and South America. This suggests that Zika itself has not yet independently made its way to the United States yet, but it is likely just a matter of time. 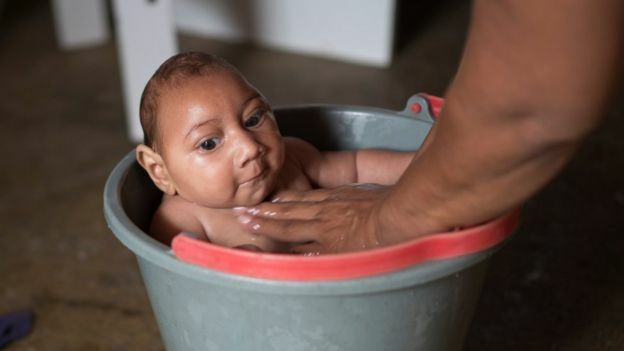 Doctors at Hackensack University Medical Center in New Jersey confirmed Tuesday the birth of a child suffering from Zika-linked microcephaly, a condition wherein the child's brain and head are partially developed. The mother, who is 31 but whose name was not disclosed, contracted the Zika virus while in Honduras and was admitted to the emergency room at Hackensack on Friday while vacationing in the United States. Tuesday, doctors delivered her baby girl, who was born also with intestinal and visual issues. Reports indicate she is the first child born with Zika-linked complications in the New York tri-state area. The child’s mother, who developed a rash for two days in Honduras but had no other symptoms until arriving in the U.S., was under the care of a surgical team led by Dr. Abdulla Al-Khan and Dr. Manny Alvarez, senior managing health editor at FoxNews.com and chief of obstetrics and gynecology at Hackensack. A neonatologist and pediatric infectious disease specialist, as well as nursing personnel, were on hand for the birth.